Voted Best Florist In Memphis Tennessee! This is the time of year we give more attention and accolades than we do the rest of the year to our admins that keep track of our calendars and take care of so many things that keep a business going. With Administrative Professionals Week coming up from April 22nd to April 26th as well as Administrative Professionals Day on April 24th, this is the time to plan a special gift to let them know just how much they are appreciated. And, that includes any virtual assistants on your team. Give 12 tulips in a glass vase. Tulip colors may vary according to availability. This is a festive and celebratory bouquet of brightly colored seasonal flowers that are arranged in a cube vase that has been filled with colored glass. 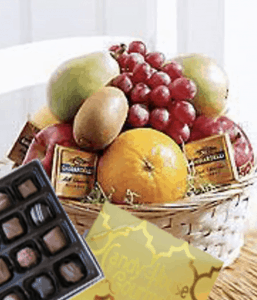 Say thanks with this luscious assortment of savory snacks, fruit, and chocolates. It’s great for a department of admins. Give your admin this oversized mug that is filled with colorful spring flowers and accent greenery. 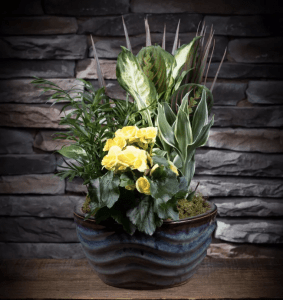 This beautiful, low-maintenance garden is a perfect gift to be enjoyed on your admin’s desk for years to come. It offers easy-to-care-for green and blooming plants. Your admin will love this keepsake mug along with the beautiful flowers that fill it. A clear vase holds festive pink flowers and assorted greenery. This stunning floral design is simple, yet sophisticated, with a mix of carefully arranged spring flowers. The varying heights and textures add interest. 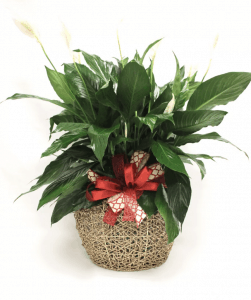 A rattan basket holds a green plant. It’s the perfect size for a desk or table at the office so your admin can be reminded that you appreciate them the whole year round. 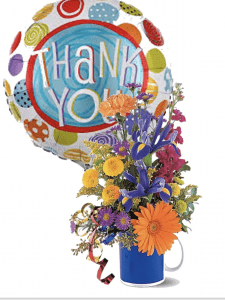 Now is the time to place your order for Administrative Professionals Week through our Memphis flower shop. We deliver!